The X-M1 will have X-Trans CMOS sensor. 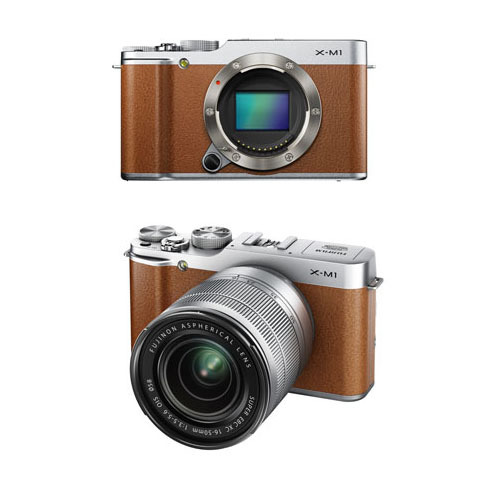 The X-M1 will come in three different colors: silver, black, brown. The X-M1 will be sold as body only, in a lens kit (with the XC16-50mm) and in 2-lens kit (XC16-50mm and 27mm pancake lenses).